This is the opportunity to kick up your heels and learn the steps of Zorba. 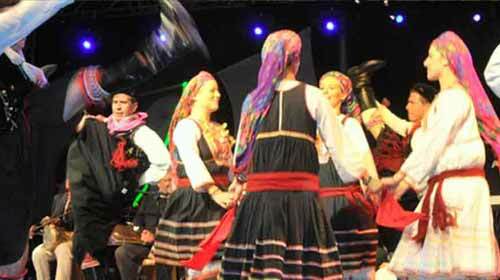 You can watch the professionals do it first in colourful, local costumes whilst you enjoy a variety of Greek dishes washed down with the local wine. An evening of traditional merry making Greek style!